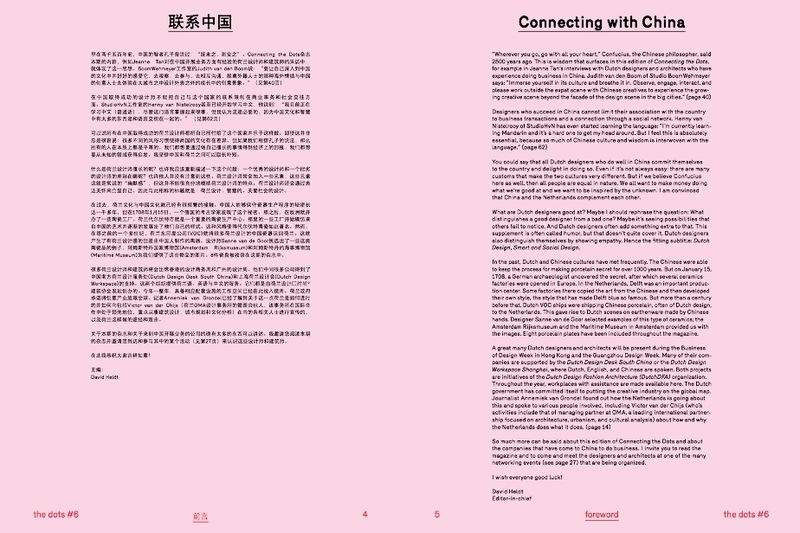 The new magazine #6 Connecting the Dots is out with including an interview on our work in China. 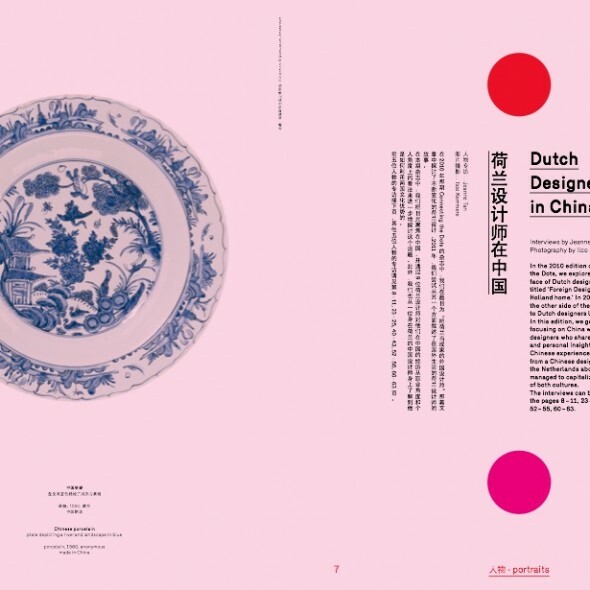 All Dutch designers companies active in China within December 2012 presented in this new issue. Interviews: Yuwei Ni, Daan Roosegaarde, John Kock, Herman Kossmann, Judith & Gunter Wehmeyer, Ashok Bhalotra, Carola Zee, Mark Hemel (and others). Further the magazine includes interviews with 10 designers and architects with experience in doing business in China, a column by Richard Hutten, an article about the Dutch ambitions to promote the creative industry, an interview with Mark Hemel (designer of a 600m high building in Guangzhou) and much more! 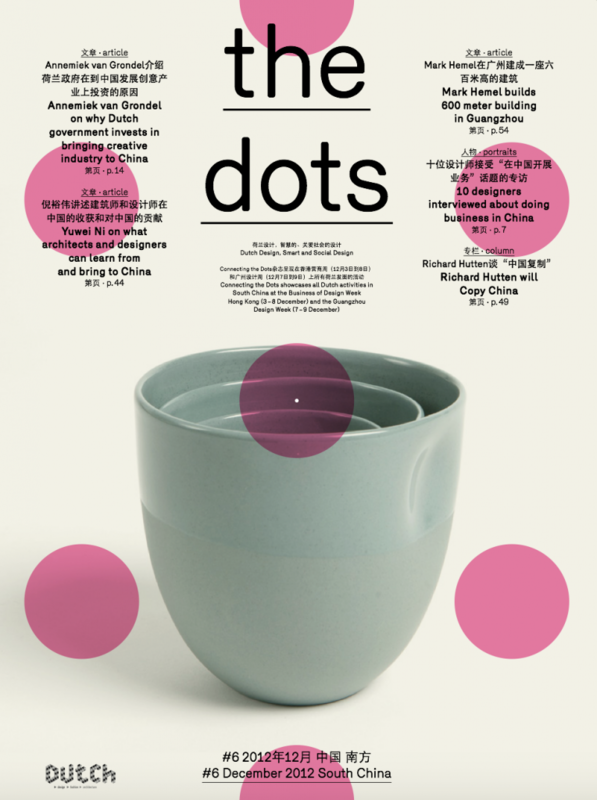 Out in December 2012, Business of Design Week Hong Kong (3-8 Dec) and Guangzhou Design Week (7-9 Dec). Articles: Why & how does NL gov. stimulate creative industry int. ?